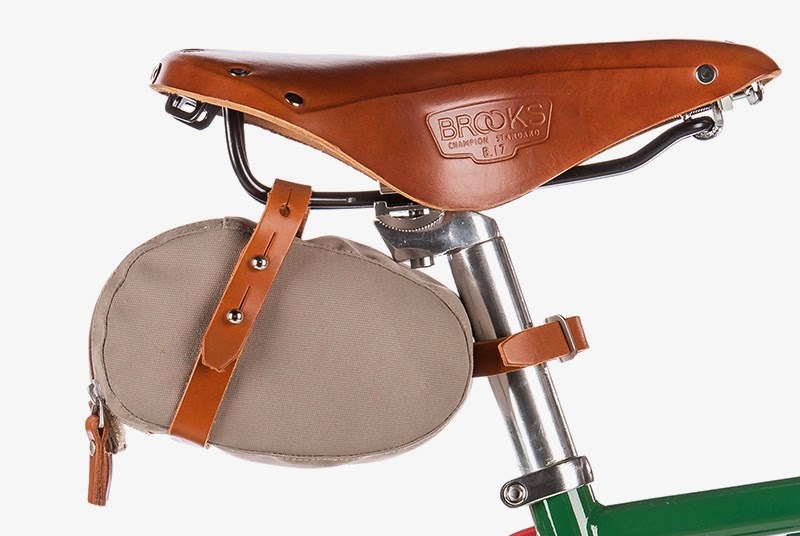 Brooks of England (cycling) have come in from a different angle over the last couple of years by the addition of non-leather products to their range. 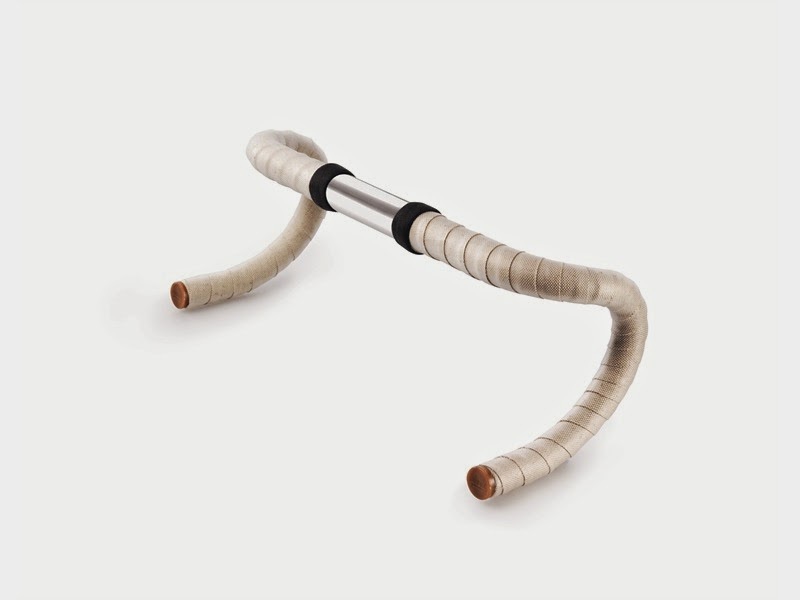 It started last year with the addition of the Cambium saddle that is made of vulcanised natural rubber and an organic cotton material on an aluminium frame. 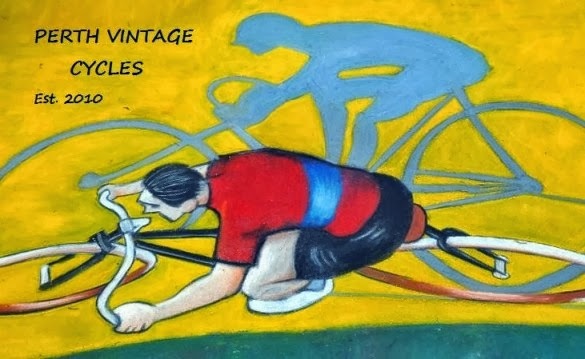 Although I have not experienced one myself these saddles have had great reviews. 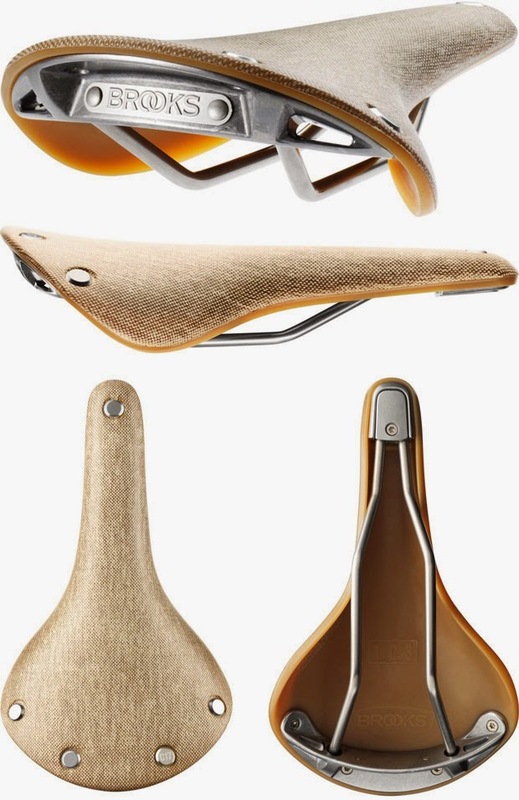 Of course once a saddle is made cyclists want to compliment the saddle with accessories made from similar materials. 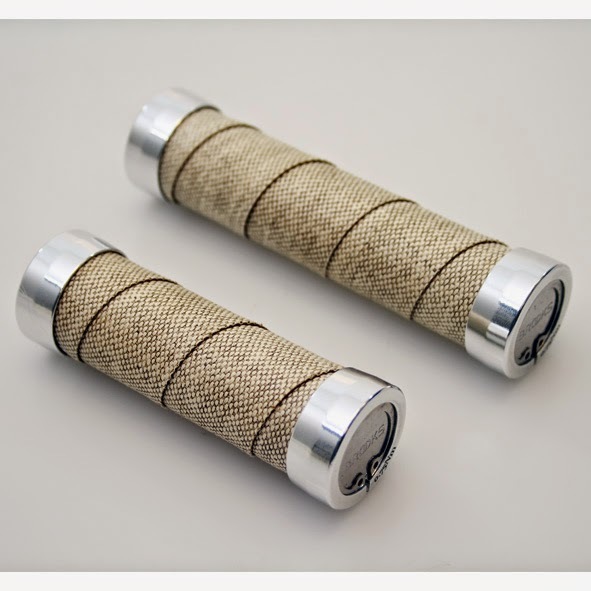 Brooks have taken this into account and manufactured handlebar grips and handlebar tape to match....well done Brooks! I'm very impressed by their new range of saddle bags and holdalls. 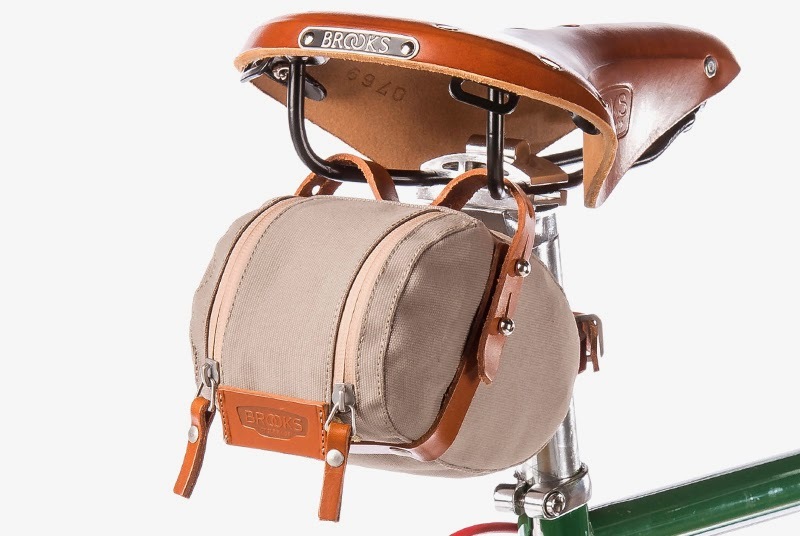 The new range of saddle bags and holdalls are not made of leather, but made of Bluesign, an eco-friendly textile that eliminates harmful substances from the beginning of the manufacturing process. 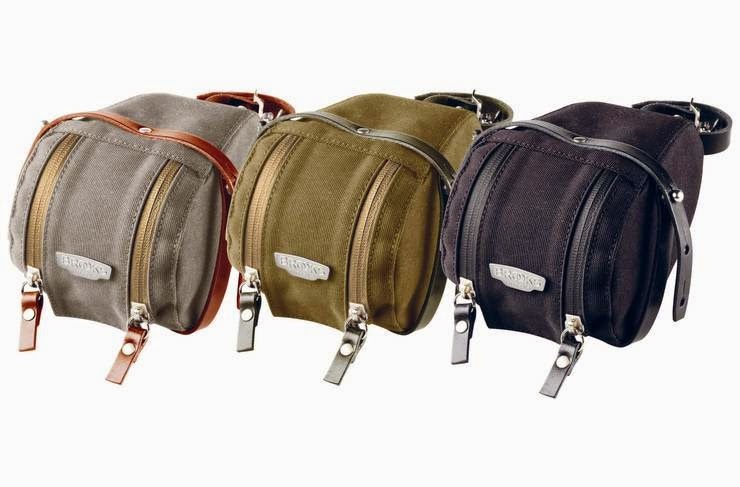 One particular saddle bag that fits right into the vintage theme is the 'Isle of Wight' saddlebag. The bags are made in Italy, and with the combination of Bluesign and leather strapping the bag will fit very nicely onto any vintage ride. 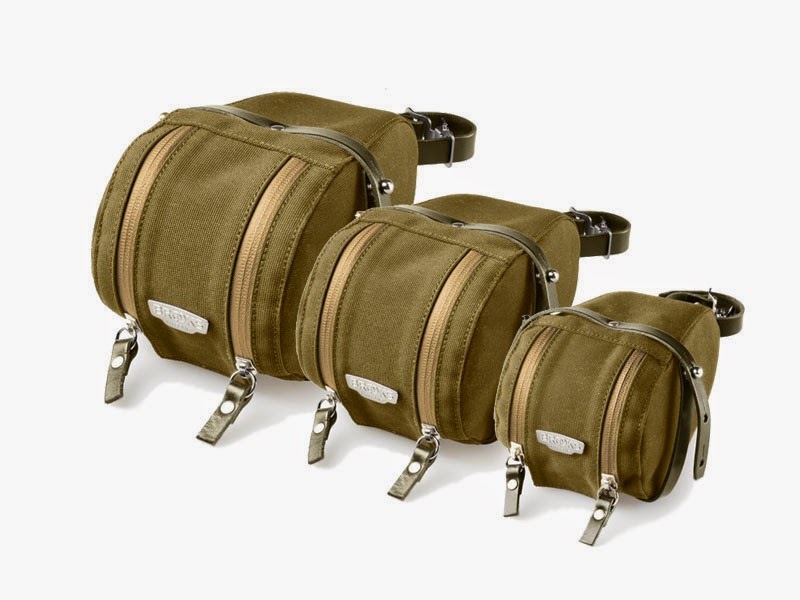 Dove, green, and black Isle of Wight saddlebags. This is the 'medium' sized bag. I have noticed that there are two differing styles, one has an aluminium Brooks name plate on the rear and the other has one that is made from leather. If this is of concern it may be best to consult your cycling store prior to purchase.